Greek Prime Minister Alexis Tsipras and his government will undergo a confidence vote on Wednesday evening after his coalition partner quit over a long-standing name dispute with neighbouring country FYR Macedonia (FYROM). Why is there a confidence vote? On Sunday, Panos Kammenos, Tsipras’ former right-wing coalition partner and head of the Independent Greeks (ANEL) party, announced his resignation after a dispute concerning the name change of FYROM. 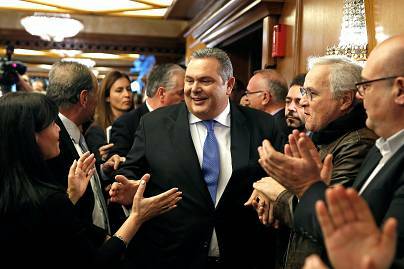 Without Kammenos’ support, Tsipras was left without a majority in parliament and the risk of snap elections. The former coalition government had been governing Greece for the past four years. Tsipras called the confidence vote on Sunday so that his government can complete its term with an absolute majority. New elections are scheduled for October. 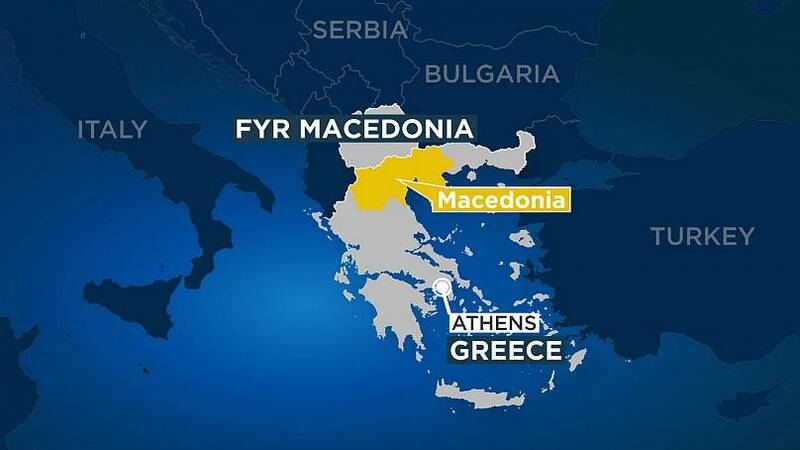 For decades, Athens has been opposed to FYROM using "Macedonia" as its official country name because it believes that Skopje may present territorial claims to a northern region in Greece called by the same name. In 2018, Greece and FYROM reached an agreement to rename the country the Republic of Northern Macedonia. However, this name change still faces domestic opposition in Greece with the main centre-right opposition party, New Democracy party, as well as ANEL opposing the deal. FYROM needs the Greek parliament to endorse its new name in order to join NATO and the European Union. How does a vote of confidence work in Greece? However, the stability of the Greek government has been so rare in the past years that the legislation has been changed to give the ruling government more security. A vote of confidence can only be sought by the Greek government, not the opposition, which only has the right to table a no-confidence motion against the government once every six months. The debate on a confidence vote begins two days after it is tabled and it can be passed by a majority of MPs present in parliament when the vote is held, provided this amounts to at least 120 votes or two-fifths of parliament. In the case that the confidence vote passes with less than an absolute majority of 151 MPs, the result is called a "vote of tolerance". Tsipras has already weathered three confidence votes in the past. 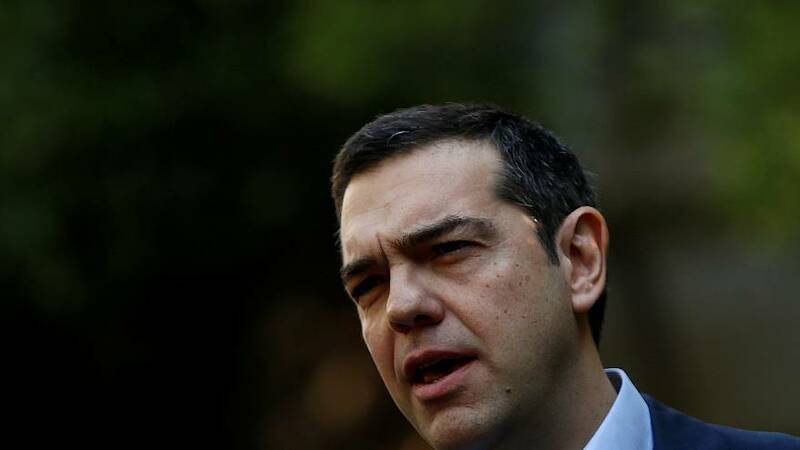 Tsipras is expected to win the vote on Wednesday, an expert on Greek politics told Euronews. "Tsipras is expected to win both the confidence vote and the vote on the Macedonia deal. 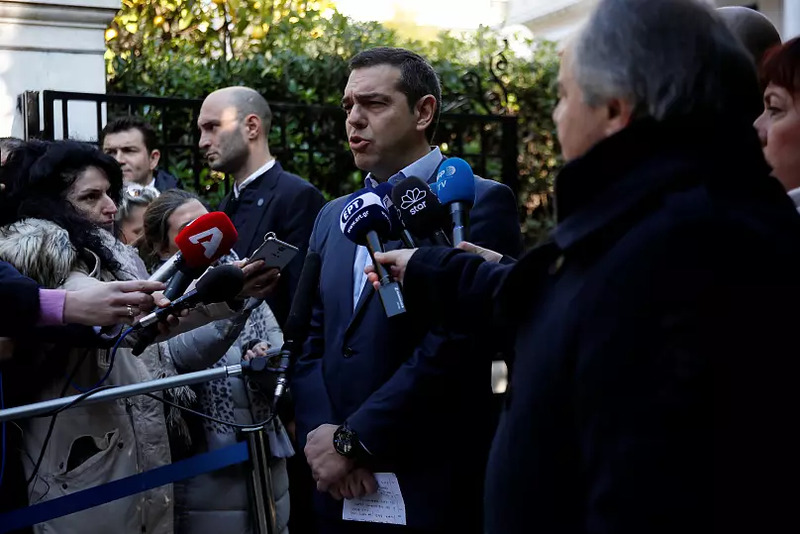 Kammenos, the leader of ANEL, may have withdrawn his support, but more than half of his MPs will continue to support the government," said Angelos Chryssogelos, a research fellow from Chatham House. Tsipras’ left-wing party, SYRIZA, has 145 seats in the 300-seat Chamber. Since an absolute majority is formed with at least 151-seats, he needs at least six more votes to form a majority. Giorgos Katrougalos, Greece's Alternate Minister of Foreign Affairs, told Euronews that he's "fully confident" that Tsipras will have the majority to win the vote of confidence. Four ANEL MPs and one independent MP have said they will support Tsipras in the confidence vote. If he wins the vote, Tsipras will aim to present the FYROM name deal to parliament and complete his planned reforms before the next election. "We are fully committed to the ratification of the FYROM agreement because it ends a bitter difference between the two countries," said Katrougalos. If he loses, there would be a snap election, which would bring the scheduled October elections forward. In the case of a snap election, Tsipras has laid down a time schedule, which stipulates that the best time to hold the election will depend on the stability of the economy because he does not want to leave “important initiatives that are underway,” such as the revision of the constitution, the agreement for Church-State relations, rent subsidies, new debt settlement schemes, and a raise of the minimum wage. Will Tsipras call a snap election anyways? Even if he wins the vote, Tsipras may call elections earlier than October because governing without an actual majority might be unsustainable, Senior Economist at Rabobank Maartje Wijffelaars told Euronews. "There is a large probability Tsipras will call snap elections in the coming months even if he wins the confidence vote. But by becoming a minority, and likely, lame-duck government, it might become more worthwhile for Tsipras to call early elections than to wait until October," said Wijffelaars. Wijffelaars further argued that waiting until the October elections "entails the risk of losing even more support in the polls because of inaction and not living up to promises of for example more social benefits and lower taxes this year. When will the confidence motion take place? On April 23, 2010, George Papandreou from the Panhellenic Socialist Movement (PASOK) party asked his finance minister Giorgos Papakonstantinou to officially ask the EU to activate the three-year economic programme support mechanism associated to the International Monetary Fund after the Greek economy was hit hard by the 2008 global financial crisis. A lot of people polled at the time believed that Papandreou should resign from his post as prime minister. A month later Papandreou’s government narrowly won a vote of confidence in the Greek parliament. However, his popularity kept decreasing. In October 2011, Papandreou announced his government’s plans to hold a referendum for the acceptance of the terms of the Eurozone bailout deal. However, after EU leaders at the G20 summit in Cannes insisted the referendum should be on Greece’s continued membership in the Eurozone, Papandreou cancelled the referendum on November 3. A couple of days later, his government again barely survived a vote of confidence in the parliament. Opposition leader Antonis Samaras called for immediate elections. Papandreou then stepped aside to allow a coalition government led by the former Vice President of the European Central Bank Lucas Papademos to take the lead. From November 11 to May 2012, Papademos led a coalition government formed by PASOK, the New Democracy party and the Popular Orthodox Rally party. The provisional coalition government was tasked with resolving Greece’s political crisis. After the failure to form a government in the May 2012 general elections, Greek judge Panagiotis Pikrammenos served as interim Prime Minister of Greece from May to June 2012. He led the government until the June 2012 elections, in which Antonis Samaras’s New Democracy party formed a coalition with PASOK and the Democratic Left party (DIMAR). Samaras implemented a series of austerity measures to reduce the government’s budget deficits and make the Greek economy competitive again. Samaras resigned as chairman of New Democracy on July 5, 2015, after the "No" vote won the Greek bailout referendum. In August 2015, Greek judge Vassiliki Thanou-Christophilou was elected caretaker Prime Minister of Greece until the September 2015 elections, which were won by current Prime Minister Alexis Tsipras.